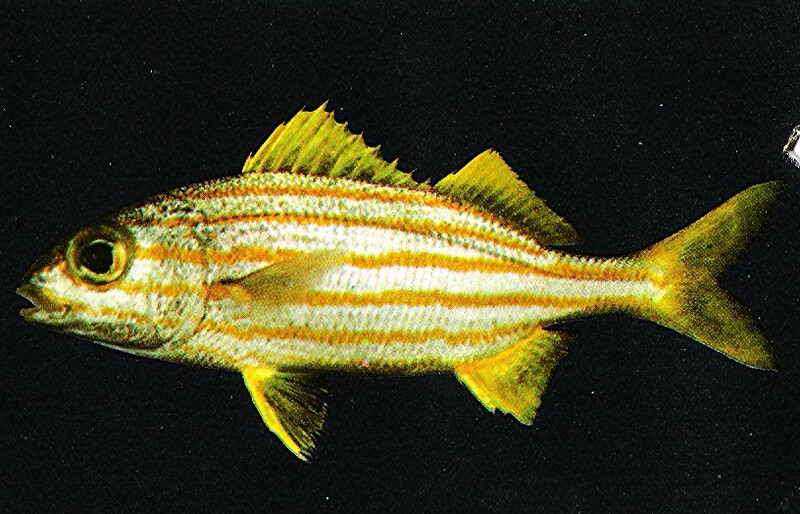 An elongate, rather slender grunt with a blunt snout and a small mouth that reaches to below front of eye. Dorsal profile not strongly arched. Pale steel blue with 6 straight, even, and nearly equally wide bronze-yellow stripes on side. All fins yellow except pale white pectoral fin. No dark spot beneath edge of preopercle or at base of tail. Lining of mouth bright red. 12 dorsal fin spines. 50 scales in lateral line; scale rows below lateral line horizontal. TL to 9" (23 cm), Coral reefs and associated habitats. Southern Florida, Bahamas, Antilles, and Cenrral and South American coasts from s Gulf of Mexico to Brazil. 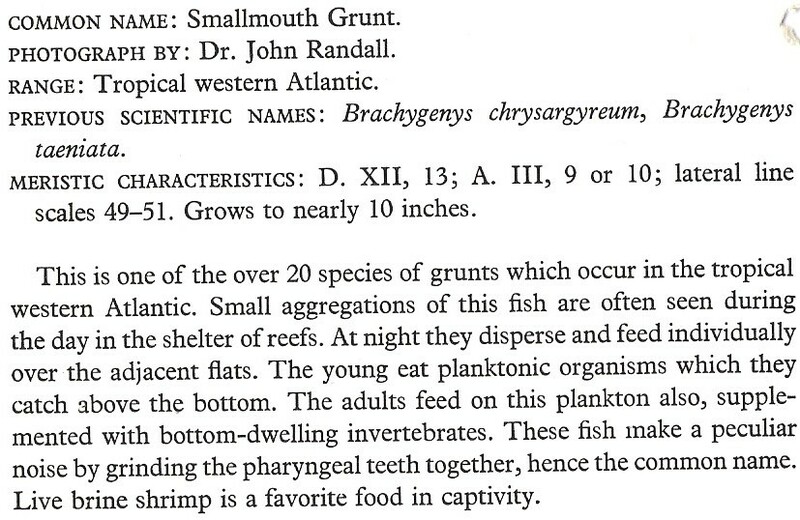 in schools, is locally abundant, and is an excellent small food fish. 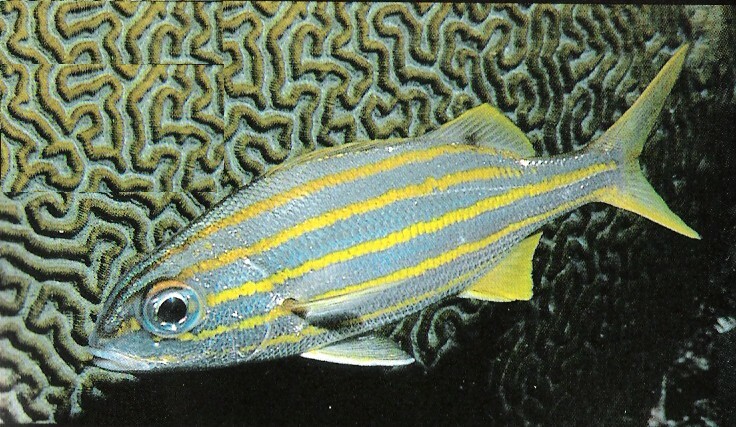 Similar Striped Grunt has 13 dorsal fin spines and 4 dark stripes on body.